Sakura or Sakura Manila is another japanese themed resto located in Glorietta 4 and because their space is not your usual dining space, they had to expand the dining area to the mall's hallway. You will have to deal with people walking along that hallway and gawking at how you eat your meal LOL. 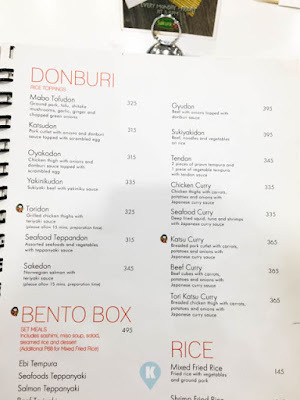 Now they serve japanese food, so lets see their menu. 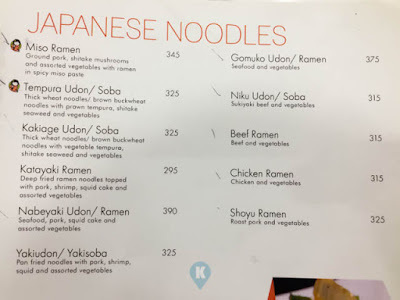 Noodles easily caught my eye, they have Karaage (fried chicken), Sashimi, Sushi, Bento and Donburi among other things. 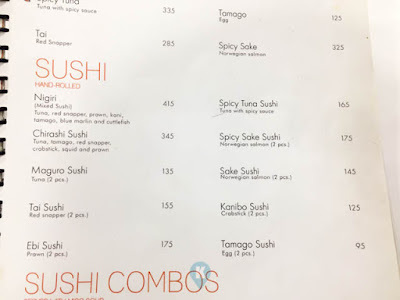 So they have a full load of japanese dishes. Usually I sample the ramen first in every new japanese resto I try out so ramen it was. 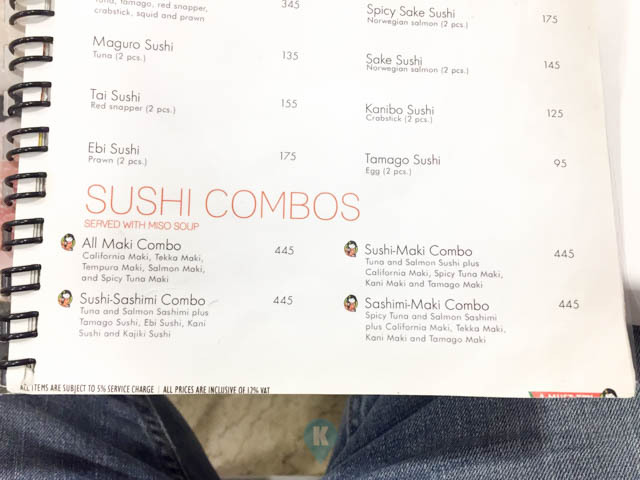 They have a lot of ramen so choosing one is a process really. Good thing they don't have the option to choose your type of noodle or else I would have gone bonkers. Simplicity is my keyword today and I chose Beef Ramen. It took a while before this was served so I took time taking photos of their menu. I noticed also that they had plenty of staff so when you wave your hand or simply looked at them, they immediately attend to your needs. What I noticed though is that they don't have much diners compared to their neighbor (who is japanese themed as well). Oh well, that's for another visit, put them on my next eating list. Finally my order came, broth steaming hot. I can smell the beef emanating from my bowl. Since it was hot, I had time to really take photos of the ramen. It was difficult shooting as I can really smell the beef. 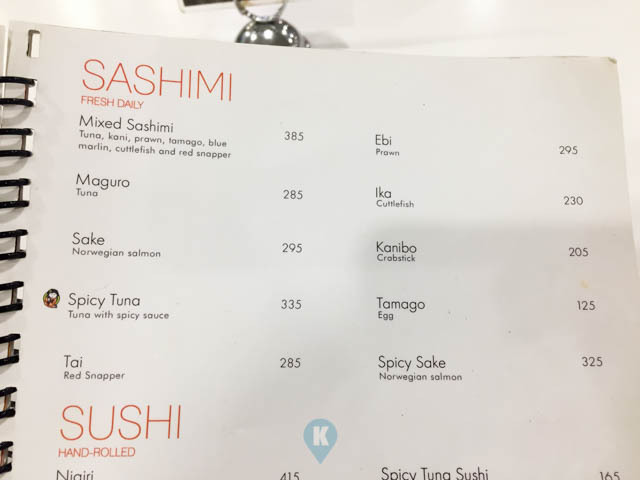 The whole thing was begging me to eat it right away. After taking a few snaps, I finally caved in. I got my chopsticks and ate away. 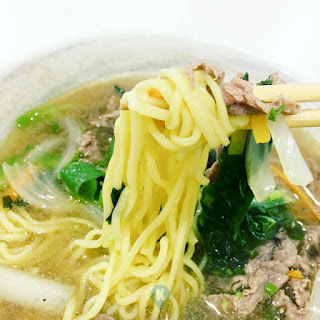 Their noodles on this beef ramen was thin unlike the one's I had in others but this was not a negative for me. It had firmness but it didn't soak in yet the beef broth in my bowl so I let it stay for a while. 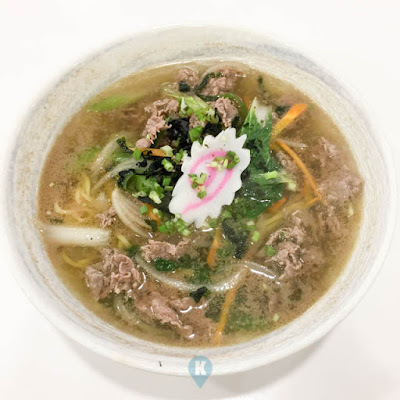 I took the ladle and just had a few slurps of that delicious broth. While doing so, I noticed that the beef smell was not your usual japanese beef ramen. I dunno, I haven't been to Japan yet to know what is the true smell of it, but compared to the ones I tried, this thing is somehow had a different feel into it. I can't say it good or bad, but its just feels funny. Another bite into the noodles this time feels nice. The broth finally seeped into the noodles and I was now having a hearty meal. 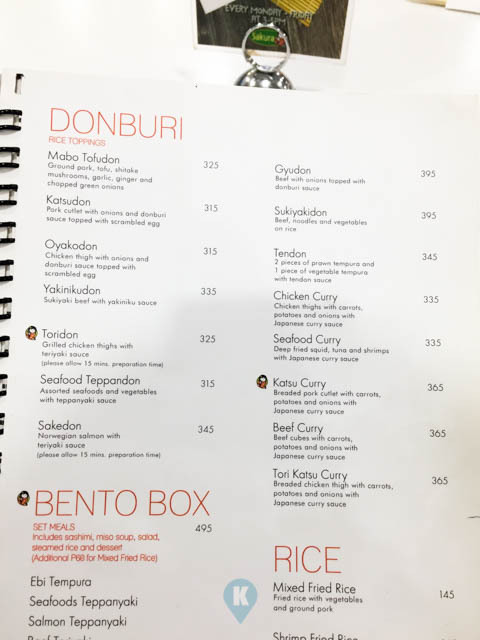 For the Php315 price tag, it should taste great. 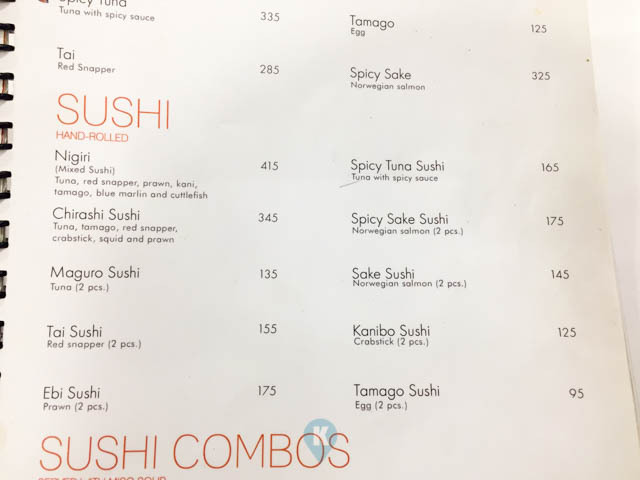 When you order this, it will become obvious that the price didn't reflect the taste, but rather the big serving that it comes in. The taste was not bad, but I couldn't say it was great, it was just right up in that alley of goodness. The serving size was the key factor in making this dish great. The bowl serving is huge that I a heavy eater had a hard time finishing my meal. It took a while for me to chow down this heavy monster. 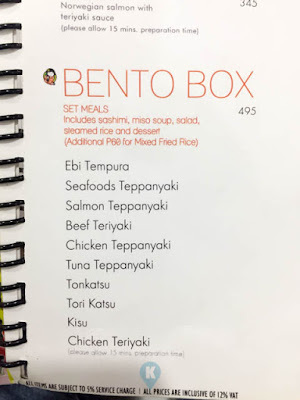 While taking time devouring this monster meal, I looked over their menu once again. 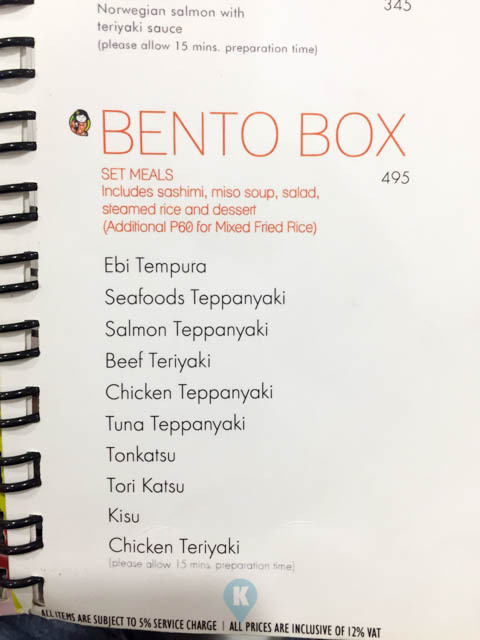 Bento at Php495, its a bit pricey for an ordinary millennial, this I got to see how BIG their bento is for this price. 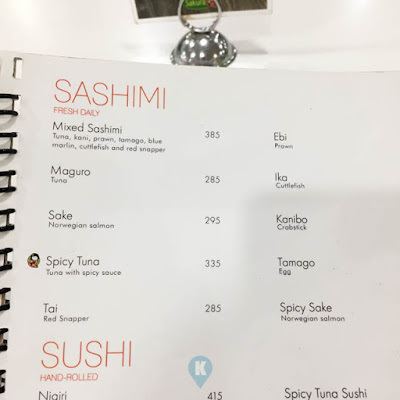 Sashimi at Php285 ++. Prices are really high in this place and for the hallway dining experience, the taste should really stand out. The ramen won me over by the sheer size of it, glad the taste was up to my standards, so I had a lucky break there. Glorietta 4 rentals must be really high. What I was looking for after eating this meal was free on the house hot tea, which they don't have. I do hope they have one in the future when I dropby again to sample their other stuff. 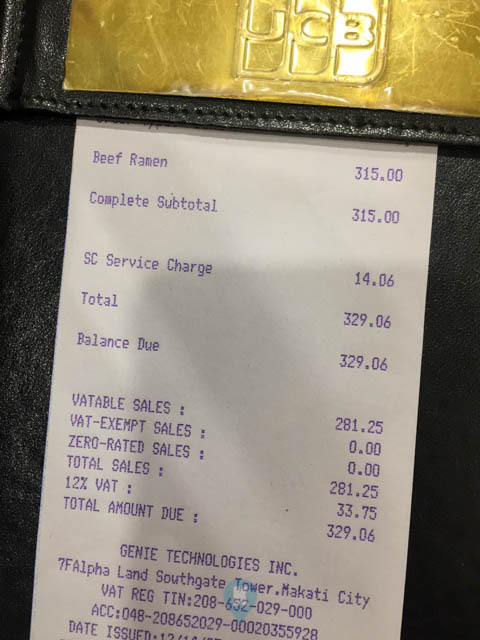 Their bill also by the way comes with a 5% service charge, trust me, you will feel better with this service charge. 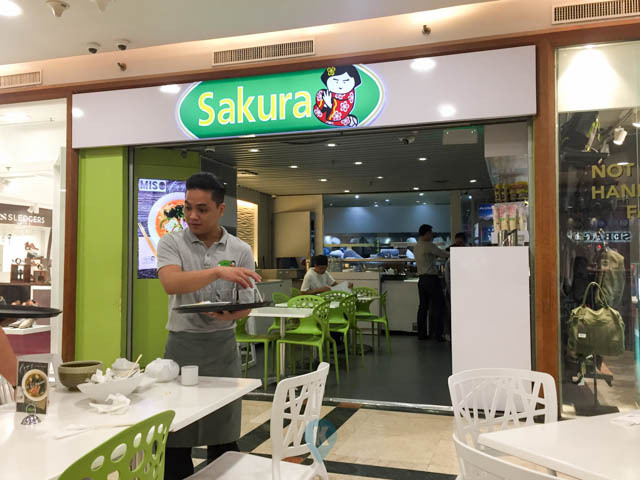 Their staff is really attentive during my meal. I drink a lot of water so I really know what their service really means. 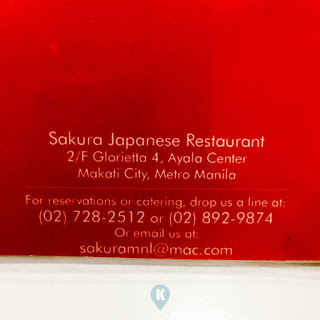 Hope to try their other meals when I passby again Glorietta 4. Thanks guys for the service, it was impeccable. 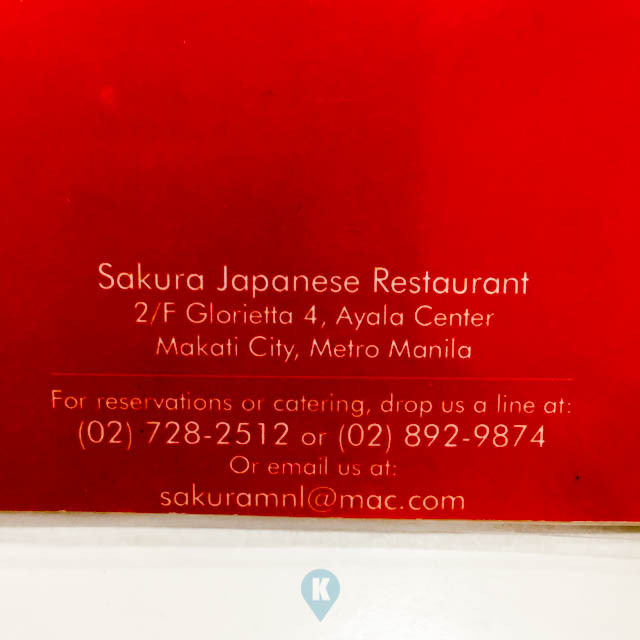 For more of their restaurant, simply visit their facebook page here.